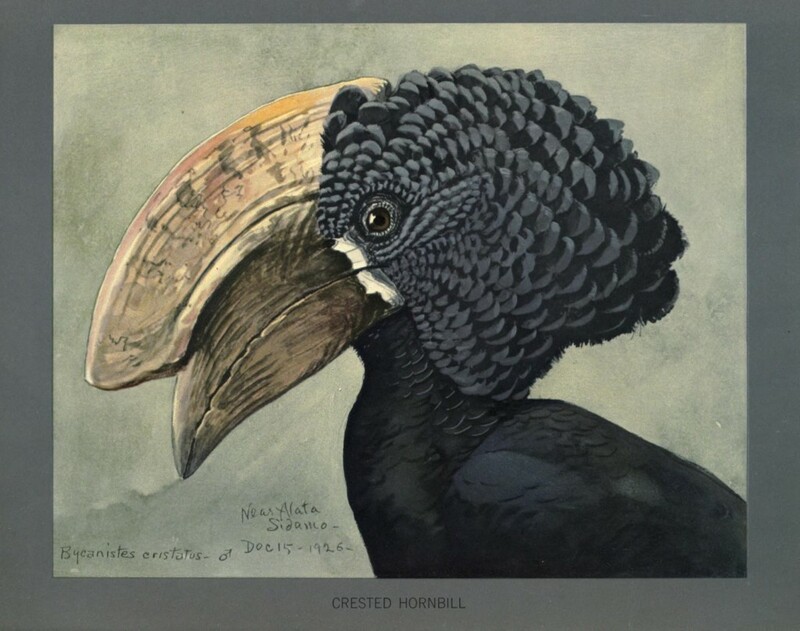 This is the peanut butter cup of Biodiversity Heritage Library serendipity – two wonderful things that are even better in combination. 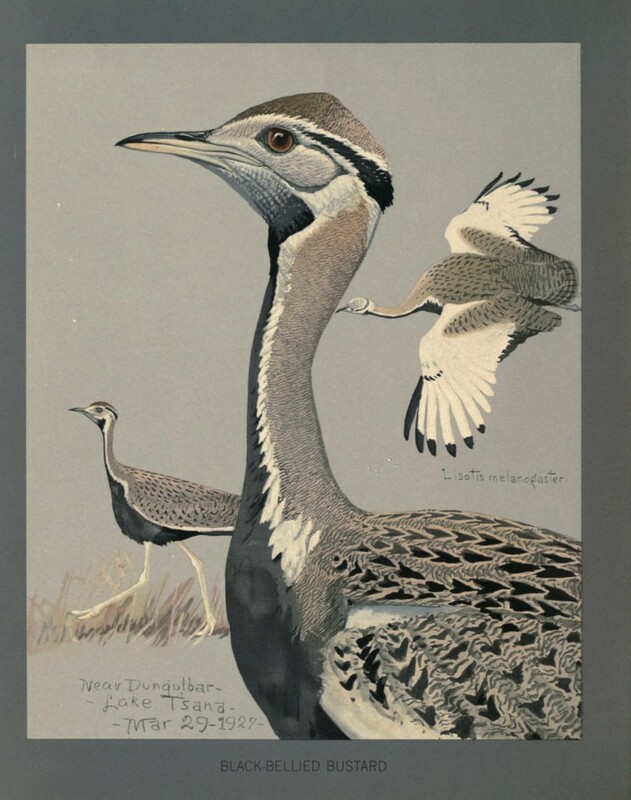 Via the BioDivLibrary Flickrstream, the Album of Abyssinian Birds and Mammals From Paintings by Louis Aggasiz Fuertes. 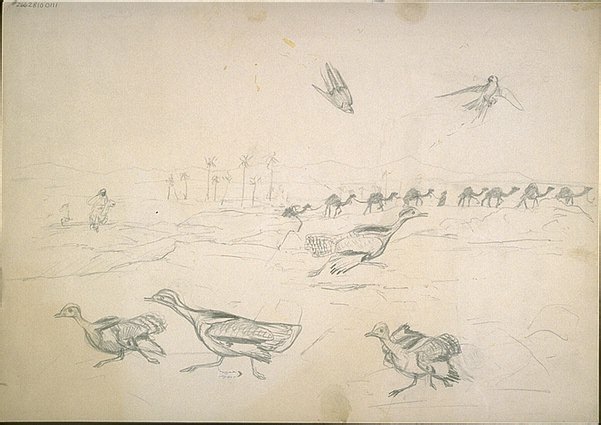 Fuertes, for those who don’t know him or his work, was an ornithologist and painter. I’ve loved his art since I first encountered it (I was maybe 10 years old?) in a coffee table book that was, at that point, way out of my price range. 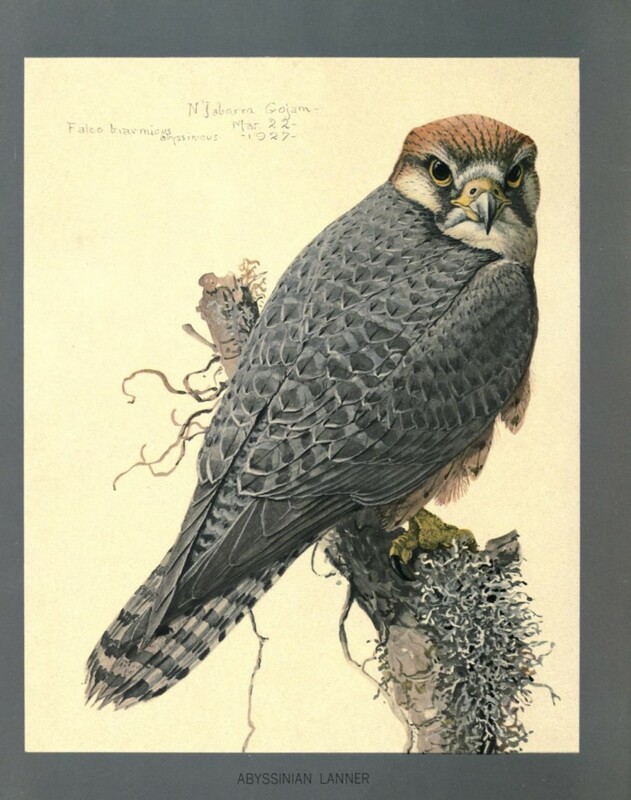 His National Geographic article, Falconry, the Sport of Kings is still a favorite (illustration below ganked from The Internet Archive). 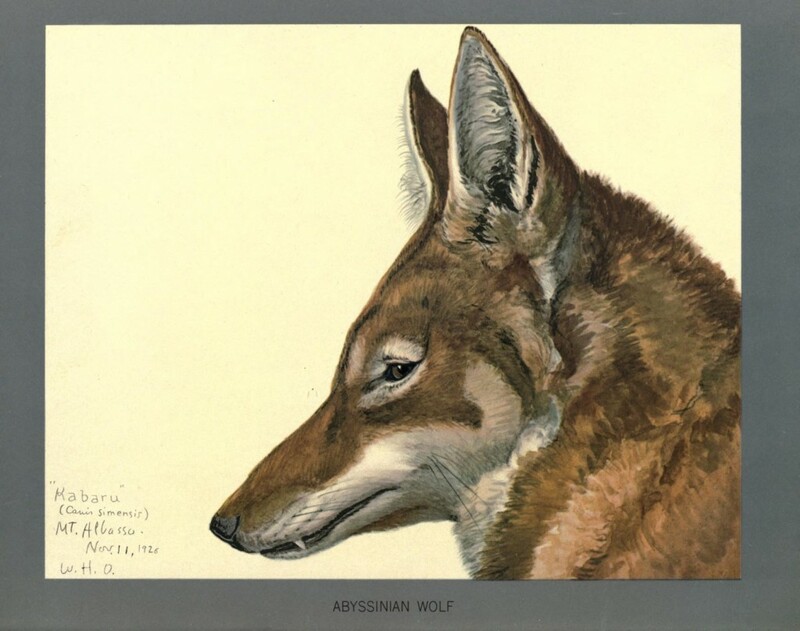 And Abyssinia. Because it successfully resisted during the scramble for Africa – and for many other reasons – it’s a fascinating region. Lammergeiers use ossuaries. You’d like another reason to add them to your pantheon? Here you go. Neil Gaiman was in town recently on the American Gods 10th anniversary tour. As a result, ravens have been front and center in my imagination (if you don’t understand the connection, you really should read the book). 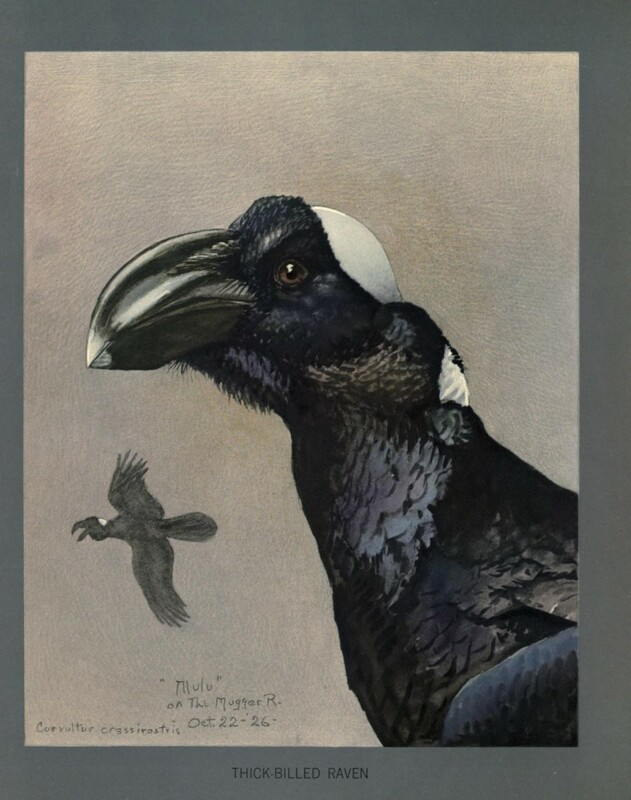 Fuertes remarks that the Thick Billed Raven is “vulturine in habits” – pretty typical raven behavior. 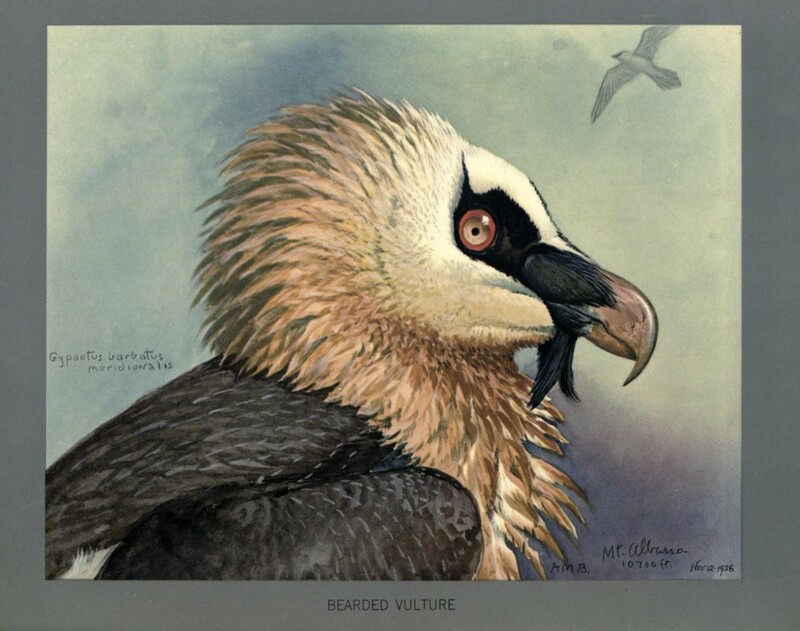 Waxing extremely vulturine, the badass of the carcass crowd, the Lappet-faced Vulture. 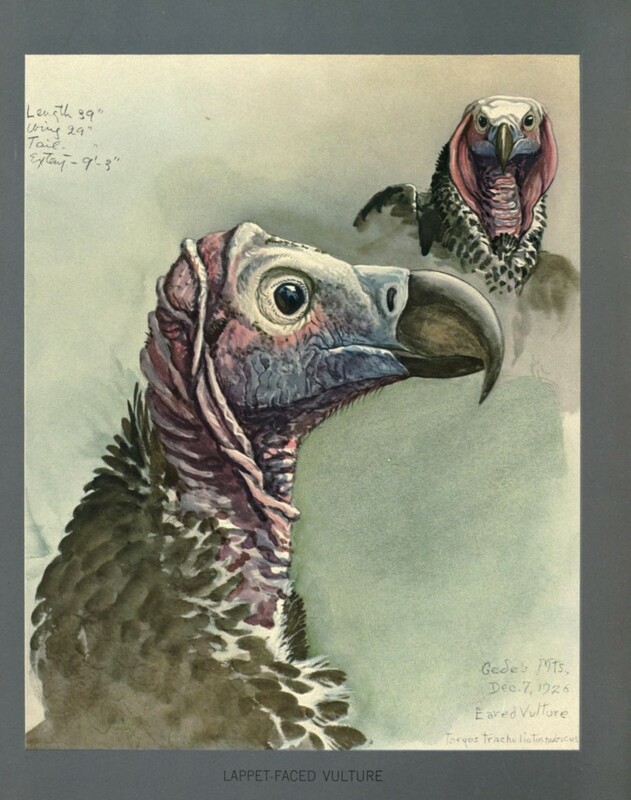 This entry was posted in art, creatures and tagged louis aggasiz fuertes by dr.hypercube. Bookmark the permalink. Thanks v. much squire! I still have an email from 2006 from a correspondent with a link recommendation to that Cornell set. It’s always been in the back of my mind, but I’d hoped to find a bigger/better cache. You do his work fair justice. From the library of Paul Martin! Anyone know who Walter Hill, who gave it to him when he was young and the book was new, was? Must scan you that flyleaf. 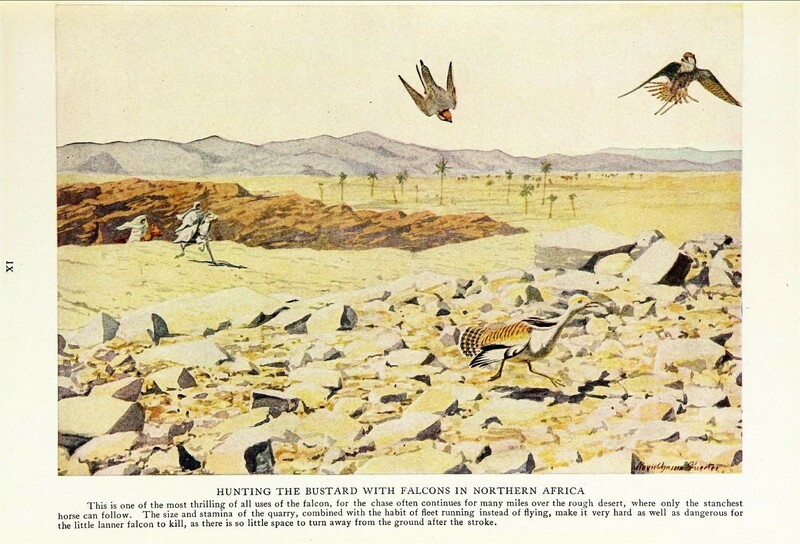 PS Jonathan Kingdon saw two Lappet- faced vultures kill a young gazelle– not your typical vultures! WOW! NICE BOOK! I’ll keep my eyes open for references to Walter Hill.